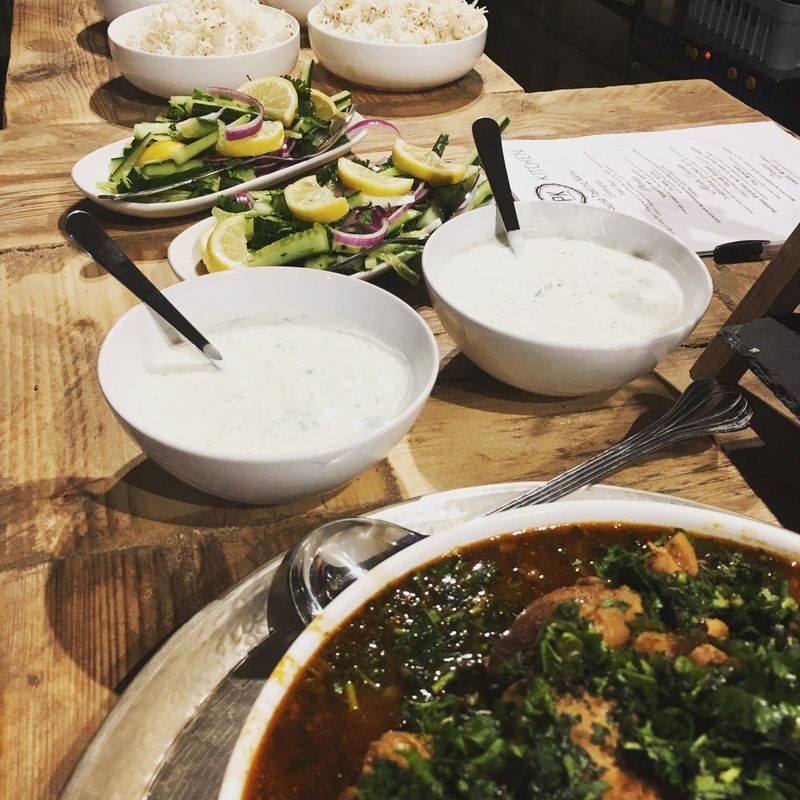 After dabbling in dining room supper clubs locally and in London, self-taught cook and mother-of-one Priya Tailor, decided that it was time to launch her first pop-up restaurant in Maidenhead. With 24 guests seated at the rustic timber tables of Saint’s Cafe, starters from the eight-course tasting menu were circulated around the airy dining space. 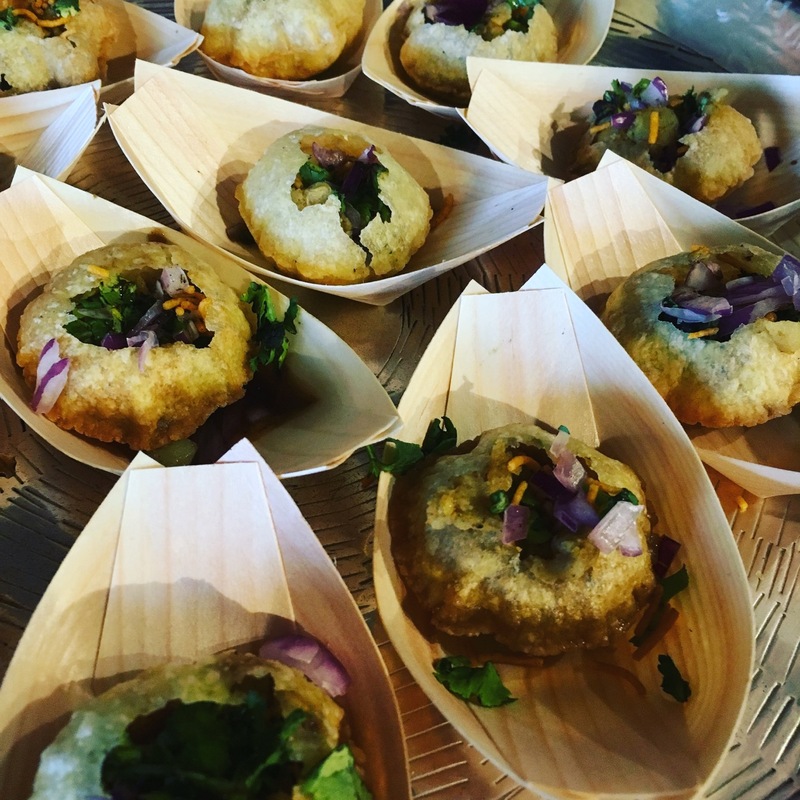 One bite of the pani-puri, a popular Indian street food snack, told me this was going to be a feast of authentic flavours, textures and aromas. wo variations of this cold, crunchy, bit-sized snack filled with chaat masala potato and chickpeas were served in stylish bamboo serving bowls; one with a sweeter dry filling, and the other with the traditional spicy tamarind water that explodes if you’re brave enough to put the whole thing in your mouth. Next up came turkey kofta with sautéed onions and two different types of samosas with coriander chutney and yoghurt dip. One was a smaller Punjabi style samosa, popular in most restaurants, and the other – a clear favourite amongst the guests – was made using Priya’s family recipe, a home-made pastry, fried to golden perfection and filled with a beautifully balanced, spicy vegetable mixture, bursting with the fresh flavours of lemon, raw onion and coriander. Classifying her food as British-Indian, Priya draws mostly from Gujarat cuisine, where her family is originally from. However, the Manchester-born graphic designer, infuses her food with a unique personal twist that brings a modern, British relevence to each dish. Priya’s flair with flavour and her genuine pleasure for hosting and cooking is where it all began. 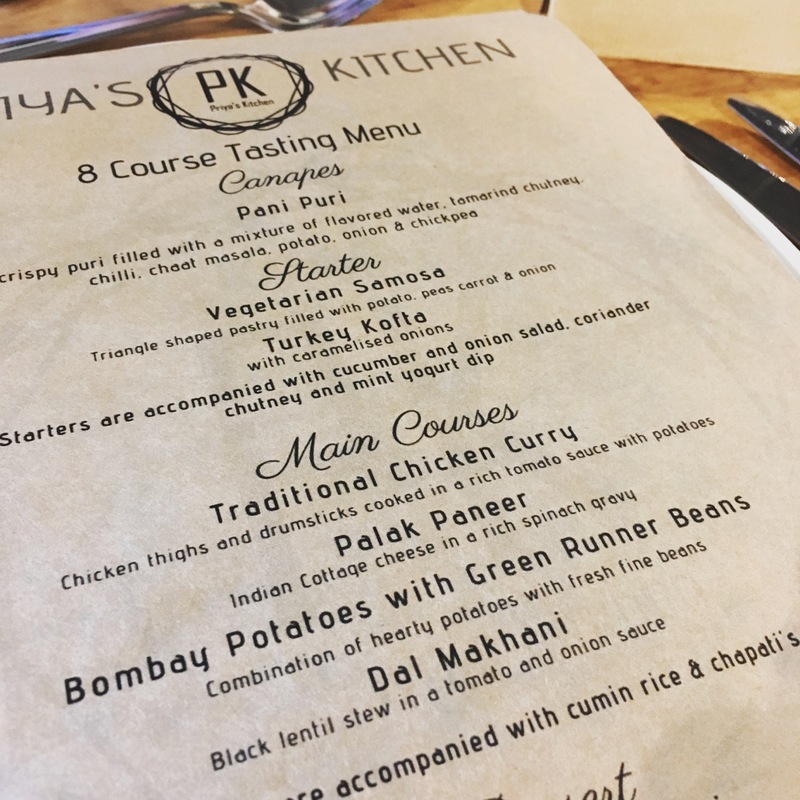 Only 5 months ago Priya took the first step on her culinary journey launching home-made take-away food through her Facebook page Priya’s Kitchen and on the Maidenhead Gossip Girls group. 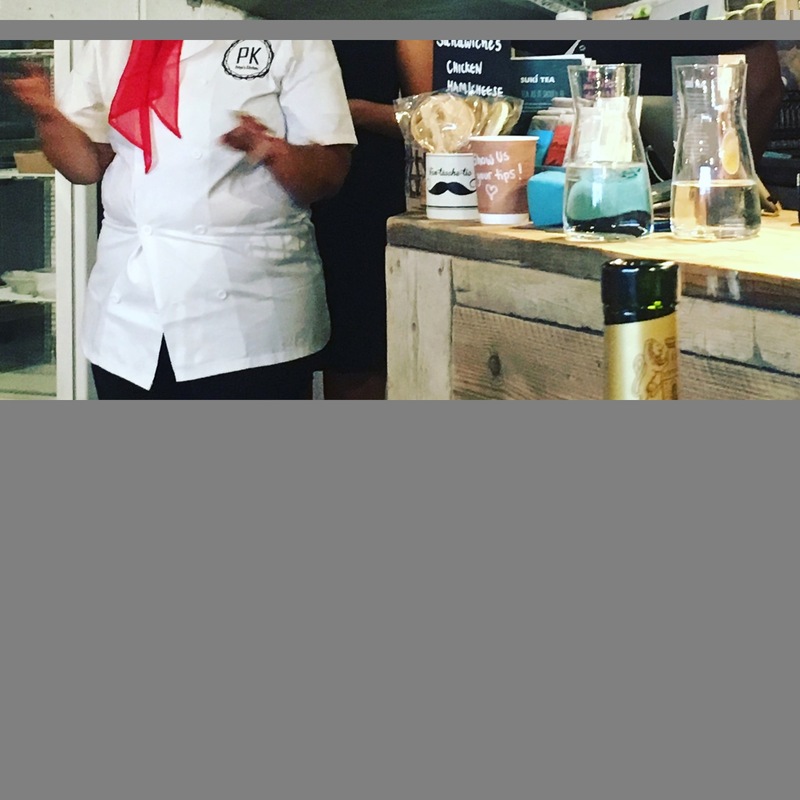 But it wasn’t until after joining Amanda Ayres’ Business Girls Network, that Priya found the support and encouragement to take it a step further with a series of supper clubs and small pop-up events. By the time the main course was laid out in large bowls on the café counter, the room was buzzing with laughter, conversation and collective anticipation of the delights to follow. Alongside steaming bowls of cumin-scented rice, the buffet-style spread featured a traditional Gujarati style chicken curry, palak panner (cottage cheese in spinach gravy), Bombay potatoes with green runner beans and dahl makhani (black lentils in a rich tomato sauce). As the servers piled our plates high with selections from the feast, I realised that the success of this event was no accident. For while the lively ambience rivalled any restaurant, Priya and her team were working at a furious pace downstairs, ensuring the food and service was seamless even though the challenges they faced, as I found out later, were considerable. The mains were all exceptional in every aspect. The balance of flavours was spot on, there was a variety of fresh, zingy flavours, richly flavoured sauces, just the right amount of heat and chicken that fell off the bone (and into my mouth) with ease. You could tell each dish was made with the freshest ingredients, and with the utmost care, skill and attention to detail. 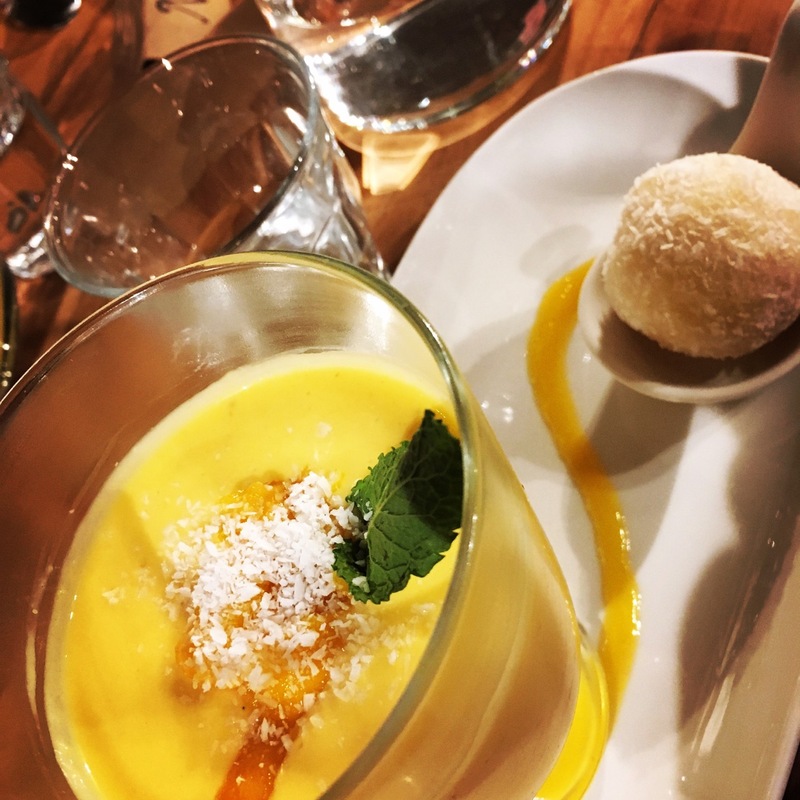 By the time the mango lassi and coconut barfi came around for dessert, I was fit to burst and had to stash the sweet treat in my bag for later. But I did finish the lassi, it was too good not to; light, fragrant and the perfect foil to the intensity of the main course. Priya came out to thank the guests and her team, with not a hair out of place; her warmth and enthusiasm lighting up the room. Look out for the next pop-up planned for Sept/October 2018 – venue yet to be announced.